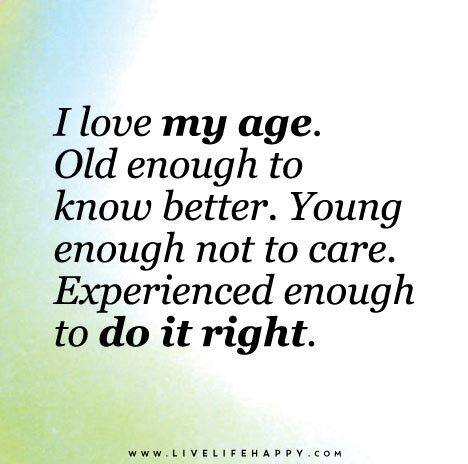 I love my age. Old enough to know better. Young enough not to care. Experienced enough to do it right.